Jack Nicklaus created the course at the members-only Shoal Creek Golf Club, located amid the tranquil Alabama forestland outside Birmingham, in 1977. His layout has the teeth to put the best to the test, but also accommodates less accomplished golfers, who will especially benefit from the helpful and knowledgeable caddies that are available. 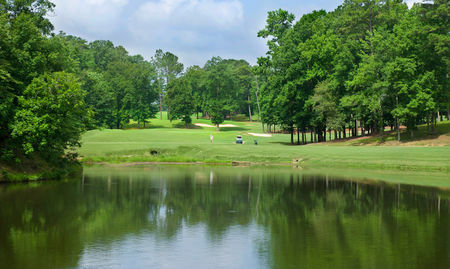 Shoal Creek has been the site of PGA Championships in 1984 and 1990, the 1986 US Amateur and 2008 Junior Amateur, and the Regions Tradition on the senior tour from 2011 to 2015. The course itself is lovely and peaceful—golf carts are not used here—and indeed has been described as one of Nicklaus' finest. The signature hole is the 381-yard 14th, which is drivable from the raised tee to a postage stamp green well defended by bunkers. 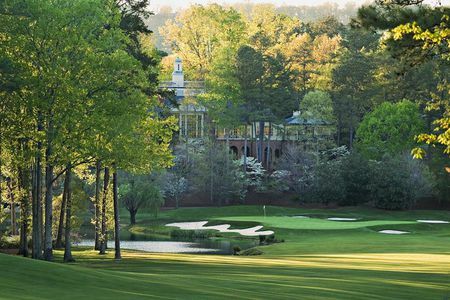 Also memorable is the 13th, which requires a forced carry over a deep ravine to another well-guarded green.